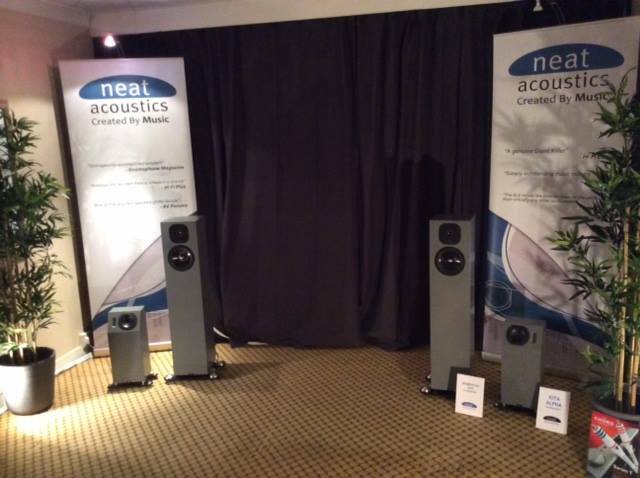 The Bristol Sound & Vision show was very busy on all three days. In the Neat room, the Momentum SX5i and the Iota ALPHA were making great sounds, each sporting a custom ‘Castle Grey’ finish and new footwear. The rest of the system was a Heed Thesis pre and power amplifier, Melco music server and Chord Chordette DAC. Analogue was provided by a Rega RP6 turntable and a Dynavector P75 phono stage. All supported by a Quadraspire equipment rack. Cables were from the Chord Company. Many thanks to all who loaned us equipment for the show!